The London Assembly passed a motion today (Wednesday, 4 November 2015) offering its wholehearted support to the Cleaner Thames campaign, calling on Londoners to ‘do the right’ thing and make sure their rubbish goes in the bin, not in the River Thames. International explorer Paul Rose kicked off the Port of London Authority (PLA)-led campaign at the end of September. Featuring four posters and a film in which Paul explains the scale of the problem and how people can ‘Do the Right Thing’, the campaign aims to raise awareness of the harm that rubbish in the Thames is doing to wildlife and why it’s important to stop it getting there in the first place. 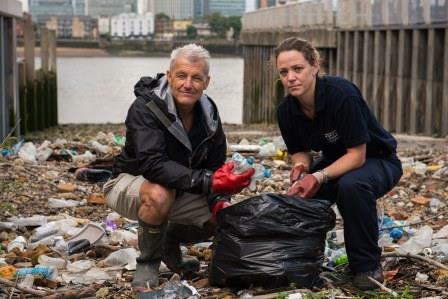 The pressing need for action follows a recent study of Thames fish by the School of Biological Sciences, Royal Holloway, University of London, in collaboration with the Natural History Museum (NHM), which found clear evidence of the impact of litter in the river. Two species of fish – flounder and smelt – taken at Erith and on the Isle of Sheppey were found with plastic fibres in their guts: up to 75% of sampled flounder had plastic fibres in the gut. Royal Holloway and NHM are doing more research into the problem. Mayor’s River Ambassador and London Assembly Member for riparian Wandsworth and Merton, Richard Tracey, proposed the motion; Murad Qureshi, Londonwide Assembly Member, chair of the London Waterways Commission and deputy chair of the Assembly Environment Committee, seconded it. The motion was unanimously backed by Assembly Members. Murad Qureshi AM commented: “The River Thames has seen a remarkable transformation in recent decades from its status as “biologically dead” to its current revitalised state. But there is still a long way to go to tackle littering and reduce sewage overflow incidents. 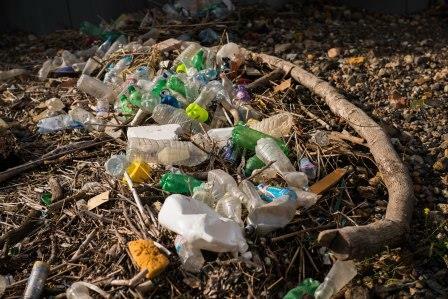 This Assembly notes that up to 300 tonnes of rubbish is recovered from the Thames every year, with the amount of plastics, especially plastic bottles growing annually. With this in mind the Assembly offers its wholehearted support to the Port of London Authority’s Cleaner Thames Campaign, which calls on Londoners to ‘do the right’ thing and make sure their rubbish goes in the bin, not in the River Thames. Noting the Authority’s strategic role in promoting recycling and waste reduction, this Assembly also urges the Mayor to work with the Port of London Authority, its partners and London’s riparian Boroughs to support this campaign. Latest campaign backers include: Thames Clippers, City Cruises, the Port of Tilbury, DP World London Gateway, Chelsea Kayak Club, Greenwich Yacht Club, Westminster Boating Base and the London boroughs of Hounslow and Westminster. • The tidal Thames is home to over 125 different species of fish. • The latest (2014) Thames seal count by the Zoological Society of London found more than 900 seals living in the river. Over ten years of public reporting of seals in the river, Canary Wharf has established itself as the Thames’ seal spotting hot spot. • More than 300,000 over wintering birds make their home on the Thames every year. • The PLA oversees the 95 miles of the tidal Thames from Teddington Lock, through the capital, and out to the sea. • Running the river in trust for future generations, the PLA’s 350-strong workforce oversees safe navigation, protects the marine environment and promotes the use of the river.